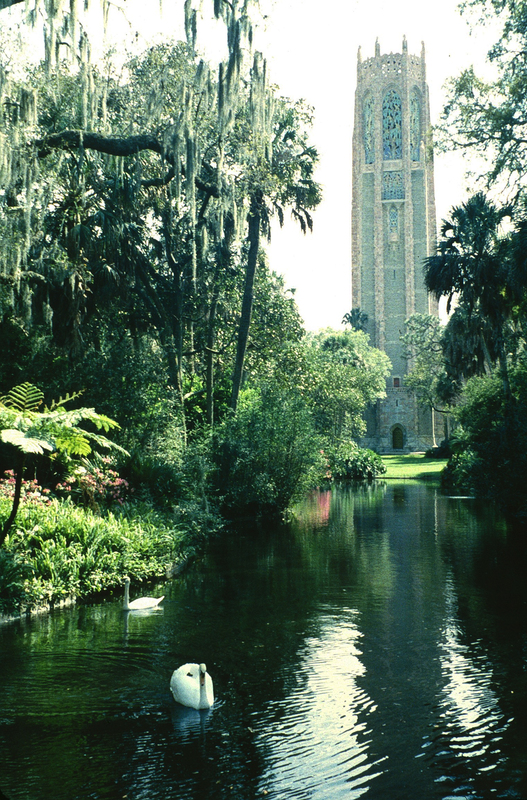 This 250-acre landscaped bird sanctuary with its soaring carillon was designed by Frederick Law Olmsted, Jr. and William Lyman Phillips of Olmsted Brothers for the Dutch immigrant, author, and philanthropist, Edward W. Bok. 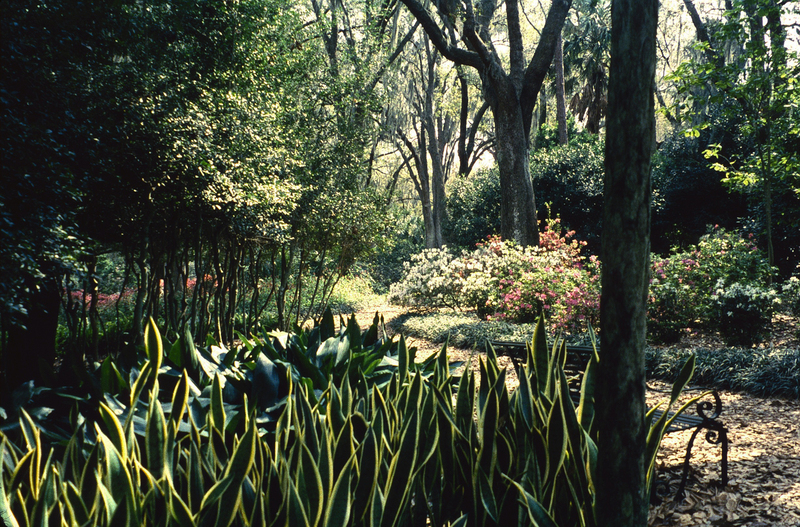 Bok envisaged the sanctuary as a place of quiet repose and natural beauty, offering it as a gift to the American people in a dedication ceremony delivered by President Calvin Coolidge in February, 1929. 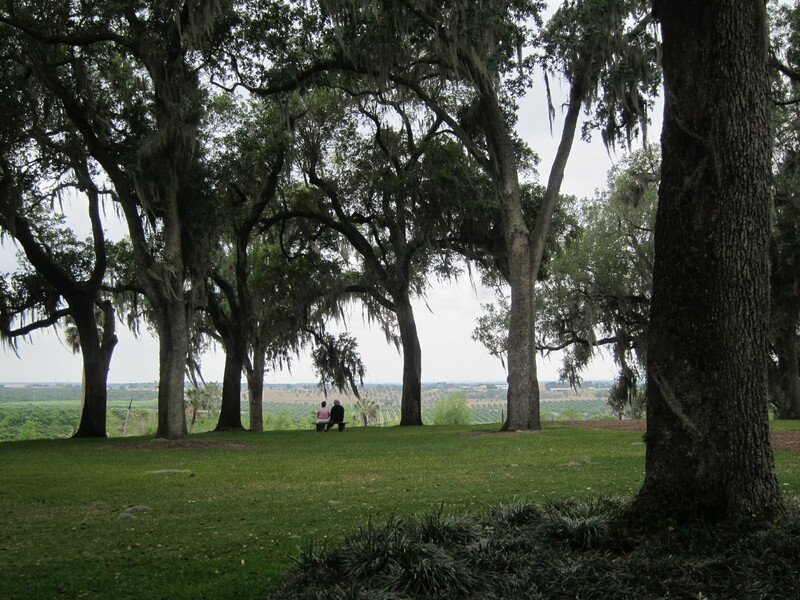 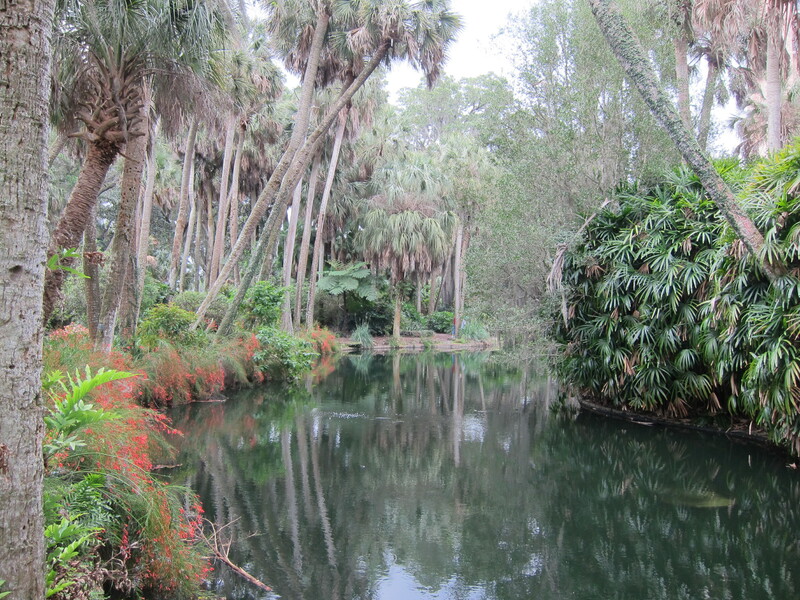 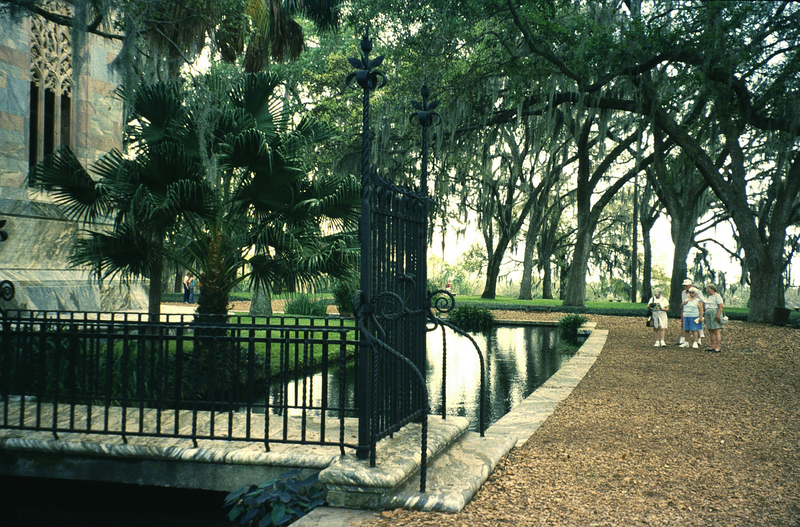 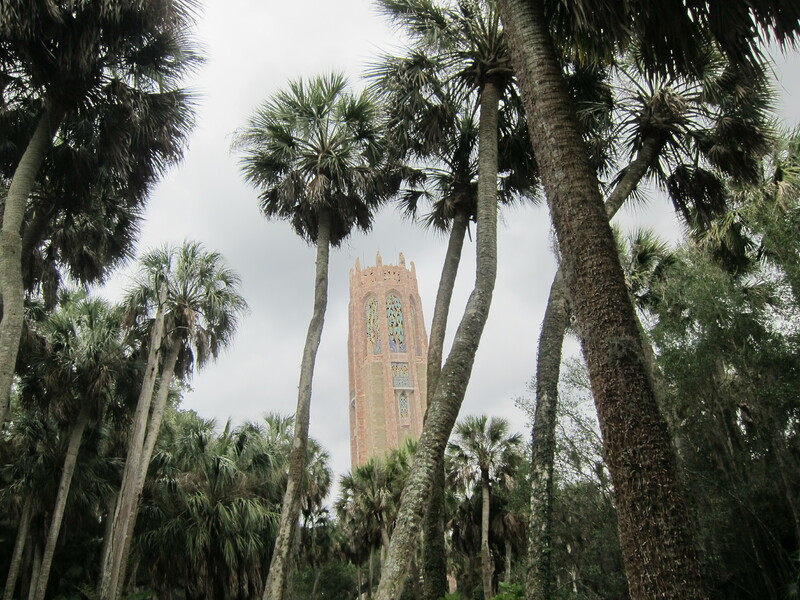 Visitors to Bok Tower Gardens encounter a meandering landscape and bird habitat comprised of shady walks and recesses with naturalistic edges, numerous water bodies, open expanses as well as close views of Florida’s native hammock vegetation. 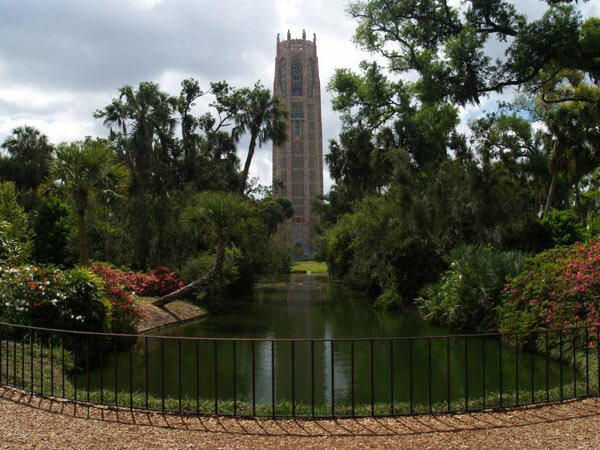 The main feature of the gardens, however, is a 205-foot Singing Tower, or carillon, designed by Milton B. Medary and significantly positioned on a sacred Indian burial ground, concurrently the highest point in the state of Florida. 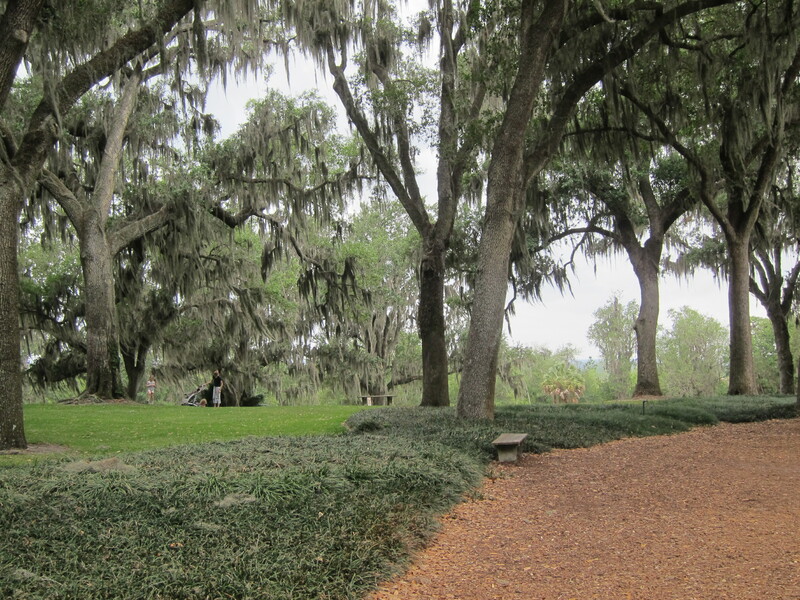 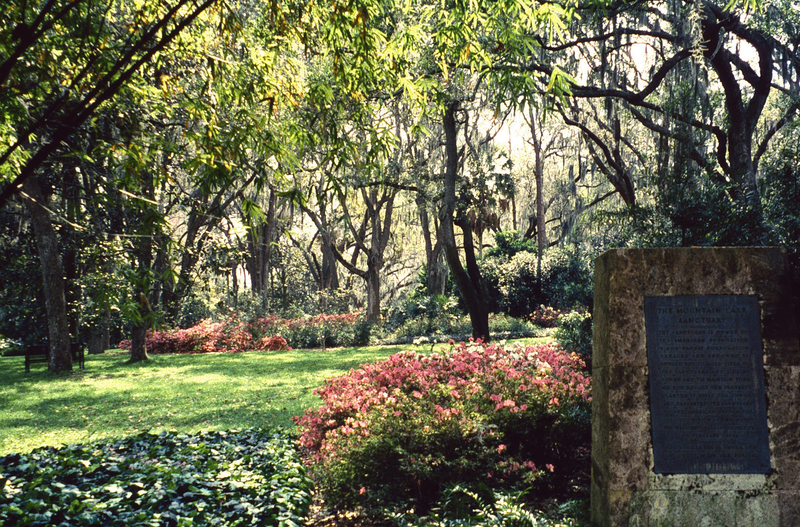 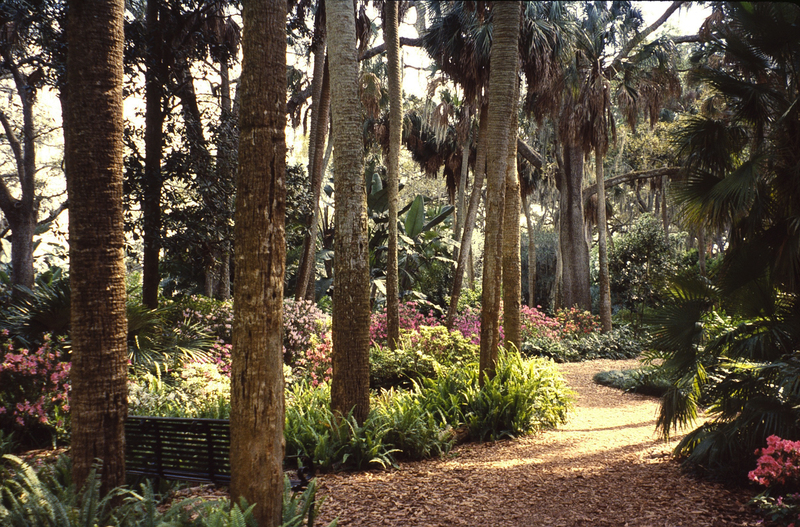 A natural halt for native or migratory birds, Olmsted and Phillips retained the existing pine stands and added thousands of large live oaks, Sabal palms, magnolias, gardenias, azaleas, and Sword and Boston ferns to create the desired naturalistic hammock scenery and provide food and shelter for the 100+ bird species living within the sanctuary.